Two former superheroes forced into retirement are called back into action with the whole family in The Incredibles. Bob (Craig T. Nelson) and Helen (Holly Hunter) Parr, also known as Mr. Incredible and Elastigirl are former Supers now living as civilians to hide their identity. They have three children, Violet, Dash, and Jack-Jack. When Bob and friend Lucius Best (Samuel L. Jackson) aka Frozone start getting back into the Superhero game at night, they are approached for actual Super missions again by a woman named Mirage. One mission on an island ends up being a trap, masterminded by former Mr. Incredible fan and wannabe sidekick Buddy (Jason Lee), now known as Syndrome. When Mr. 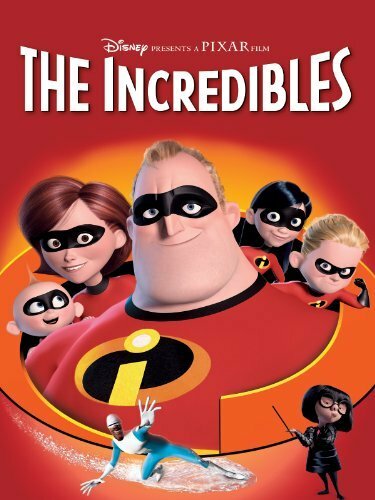 Incredible is in trouble, it’s up to his Super family to come to his aid and together they must save the day. 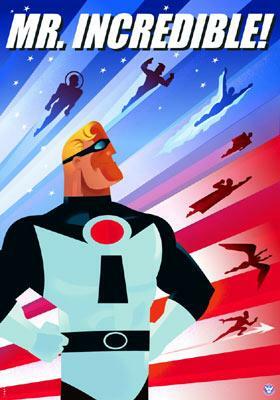 It’s films like The Incredibles that make a studio like Pixar special. It’s a film that could have easily been a cheap thrill with no heart just to push toy sales but it is really something special when you give it a closer look. The conflict of a restricted superhero working a lousy day job and having to hide his secret identity is simple genius. The fact that Bob sees his actual identity more as Mr. Incredible than Mr. Parr is also handled with great care and heart. The family situation of Supers is also simple but it works so well that it’s easy to gloss over just how perfect it works here. Brad Bird, who was also the creative force behind the also amazing Iron Giant, has a real knack for setting up a story that seems so simple but is made remarkable by the tangible things like the characters, the story, and the art/animation but what identifies his films as masterpieces is the more esoteric “soul” of the film that instantly connects you with the characters and plot. We don’t need origin stories here, we just need to know superheroes exist. We relate with the issues that the Parrs have to deal with even though we aren’t Supers. Heck, we even understand why someone like Syndrome would go to such lengths to act like a Super, and his means aren’t necessarily evil so much as misguided. The Incredibles does all of this and makes it look easy. To match the level of the film itself, the blu-ray presentation blew me away. I had long owned the DVD version and enjoyed it, but the blu-ray looks and sounds 10 times better than I remembered. The Incredibles isn’t a film that I could see myself watching too often, it’s the type of film that I regard as a special treat every few months. Long enough between viewings so that the experience is fresh and that rush of excitement is almost new each time. The Incredibles should be the film that Pixar is remembered for. I give it 5 classic Mr. Incredible posters out of 5. I’m not entirely sure what made me watch Winnie the Pooh. As a child I was always fond of Pooh’s adventures, but as a 29 year old I probably shouldn’t be interested in seeing what the gang is up to. Regardless of my age, I found the movie to be incredibly endearing. Clocking in at just over an hour, Winnie the Pooh is about half song, something I was not expecting. I don’t ever remember a song every few minutes growing up with Pooh Bear, but that doesn’t necessarily mean there weren’t songs. After awhile the songs were more of a chore, my wife was constantly rolling her eyes and grumbling things like, ‘another song?!’. I found the songs to be enjoyable, but they do make the hour run time feel even longer. Fans of Zooey Deschanel will be pleased that she did the main theme song and a few other tracks for the soundtrack. The story is classic Winnie the Pooh; Pooh wants honey (or hunny) and Eeyore has lost his tail. 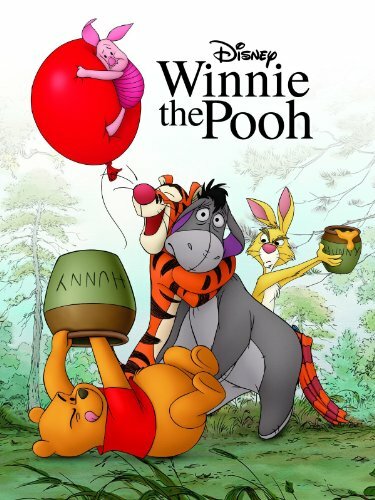 The gang tries to find Eeyore’s tail while Pooh is in it mostly for the honey. The adventure they get into is charming, but fairly unmemorable. I could see young children wanting something like this on repeat until the disc melts, though. One thing I feel is worth mentioning is the animation. I’m not entirely sure if it’s hand-drawn, but it looks very much like it is. In this age where everything seems to be computer generated it is a nice touch, even if it is actually computer generated to look this way. While it doesn’t break the mold or get too crazy, I quite enjoyed my time with Winnie the Pooh despite being completely outside the target audience. I give it 3 confused Poohs out of 5. 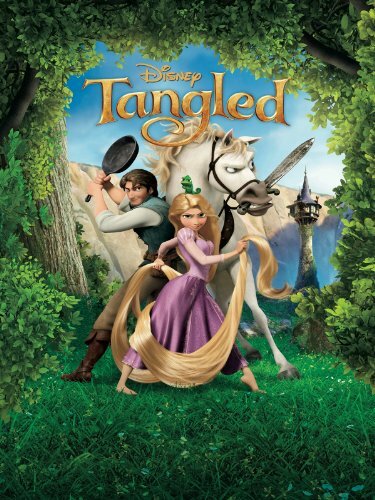 Disney’s Tangled is, in many ways, a very Disney movie. It has all the elements: a princess, a handsome guy to sweep her off her feet, a cute animal sidekick, an evil stepmother and plenty of songs. While that description may make it sound derivative and predictable…It kind of is, but that isn’t the point. 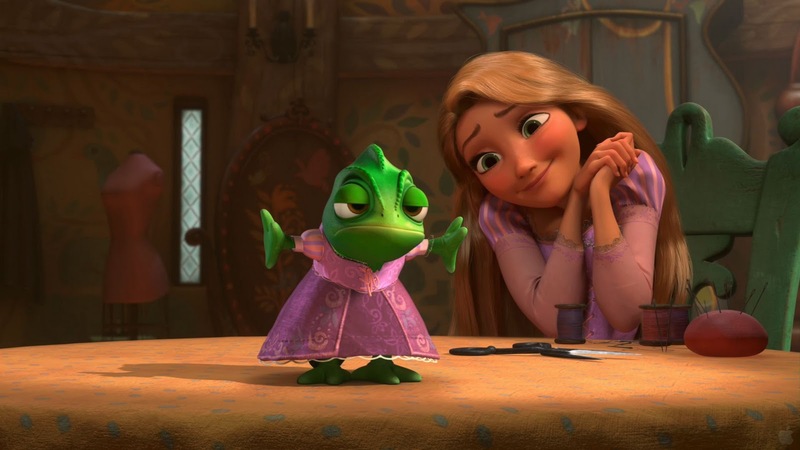 I actually quite enjoyed Tangled, which tells the story of Rapunzel. Other than the songs, I don’t think there’s much deviation to the traditional story but don’t quote me on that. Girl needs saving, guy saves her, there’s some conflict, things end happy. But if you broke every movie down into pieces that simplified, all movies would fall into a similar trap. 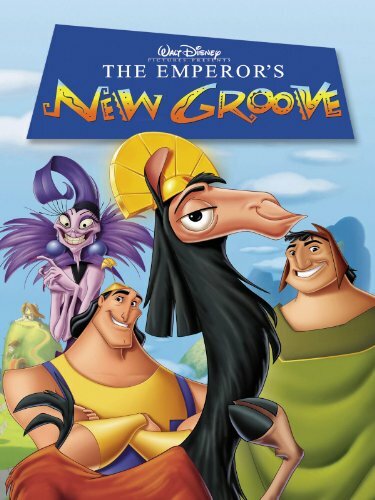 While no where near my favorite Disney movie, it is nice to see the house of mouse can still release a great animated movie without relying on Pixar. The film would probably be best appreciated by a younger audience, but those of us that grew up with Disney’s animated films will likely get enjoyment out of it regardless of age or gender. What Tangled does right is sticking to the classic Disney Princess formula. That may sound like it’s a bad thing, and to some it may be. It’s more a case of “if it ain’t broke, don’t fix it”. 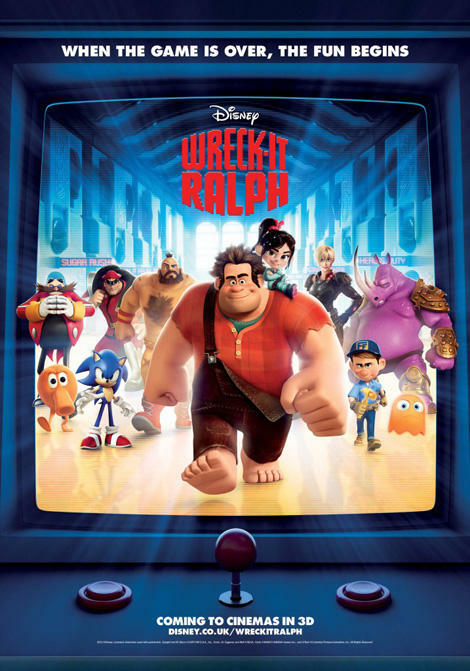 I mean, Disney could throw together any crappy movie they wanted and people would line up to see it. Luckily, Tangled is a solid movie that has all the typical Disney charm. I give it 4 chameleon sidekicks out of 5.